Photo source: Copyright © Asia Harvest. Used with permission. Text source: Copyright © Peoples of Laos, Asia Harvest. Used with permission. 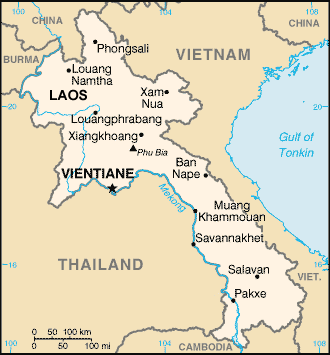 Wurm and Hattori, in their 1981 Language Atlas of the Pacific Area, listed three different ethnic groups living in central Laos: the Thavung (500 people; located on the banks of the Theun River, east and south of Lak Sao); the Phonsung (500 people; around and east of B. Song Khone, Theun River, south of the Thavung); and the Kha Tong Luang (200 people; on the Vietnam border, Mu Gia Pass, north of B. Xang). These locations are all within the Nakay District of Khammouan Province. In recent years, however, new research has revealed that all three groups are ethno-culturally the same, and all three speak the same language. Because of this, we have decided to include them as one group, under the name Aheu. 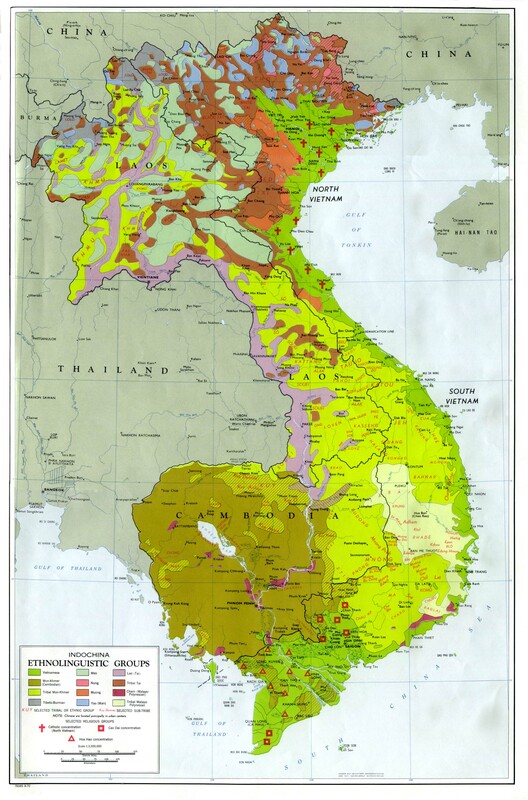 Of the three subgroups of Aheu, only the Thavung are located outside of Laos. Three Thavung villages are situated in Sakonnakhon Province of Thailand. The smallest of the three Aheu groups is the Kha Tong Luang, which means 'Slaves of the Yellow Leaves'. This group live in shelters made of banana leaves. When the leaves wither and turn yellow they abandon their homes and move to a new location in the forest. Despite sharing this custom with the Mlabri people of Xaignabouri Province, the two groups are not linguistically related. There is no Christian presence among the Aheu people of central Laos. Little has changed since this 1900 missions report from a missionary in Laos: "There is no Protestant work being done at all in this region. The Roman Catholics have a priest located at Ma Kuk [a village south of Vientiane]...where they have about thirty followers, and also a priest at M. Sakon, with a somewhat larger following. The people are friendly and sociable, strong, healthy, but opium is doing a deadly work among them.... Spirit worship is very prevalent and strongly believed in. The people adhere to Buddhism more as a charm against evil than from a conviction of its truth. In exceptional places such as at Dan Sai the people apparently enjoyed their religion, but in many places the temples were vacant and in none were they in good repair. Gospel preaching was well received, exciting discussion in some places but everywhere friendly." * Pray the Gospel would finally be taken to the Aheu people, who have lived for centuries without a witness. * Ask God to send long-term workers to reach out to the Aheu. * Pray all people in central Laos would soon have the opportunity to find forgiveness of sins in Jesus Christ. * Pray for translation of the Bible to begin in this people group's primary language. * Pray for Gospel messages to become available in audio format for this people group.View Aheu Luang in all countries. Location in Country: Most live in three villages within the Song Daw District of Sakon Nakhon Province in north-east Thailand. Across the border in Laos a few hundred live on the banks of the Theun River, east and south of Lak Sao in the Khamkeut District of Khammouan Province and in Borikhamxai Province.